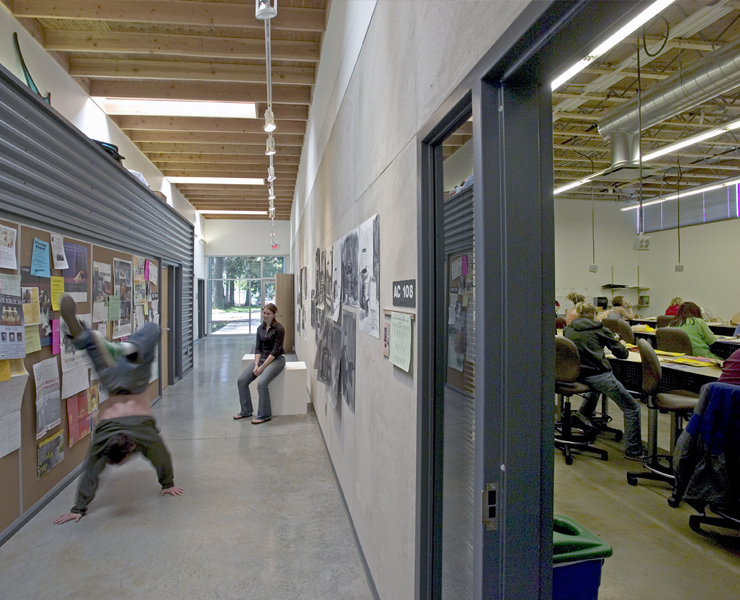 The Art Department, housed for years in an old cannery building, moved into a new 12,000-square foot, L-shaped building that provides new classroom and studio space for popular art programs. 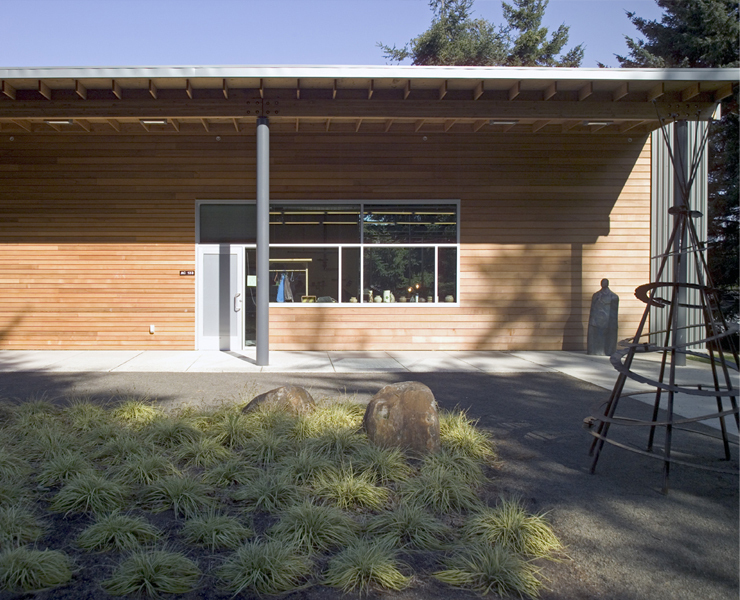 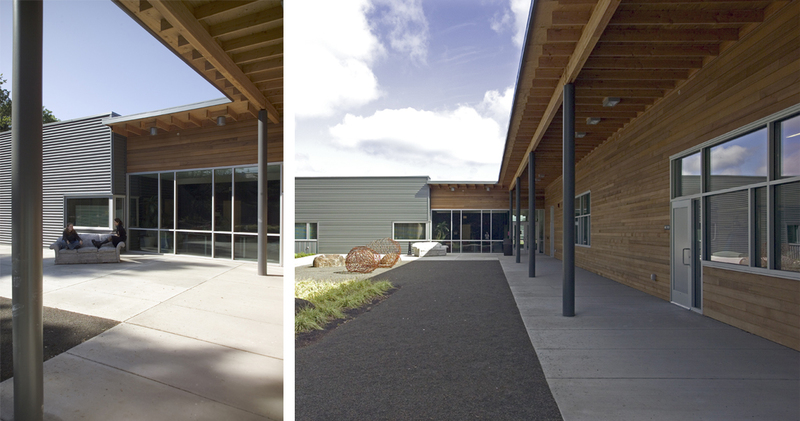 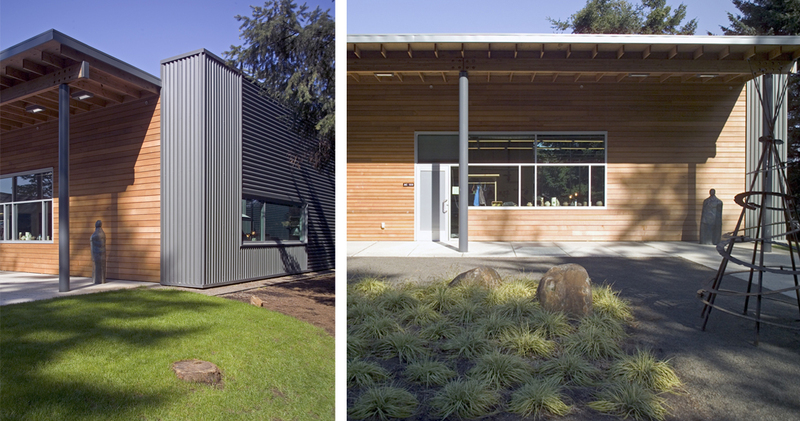 The building’s form embraces an outside sculpture court for exhibition of student work and opens to an existing evergreen forest. 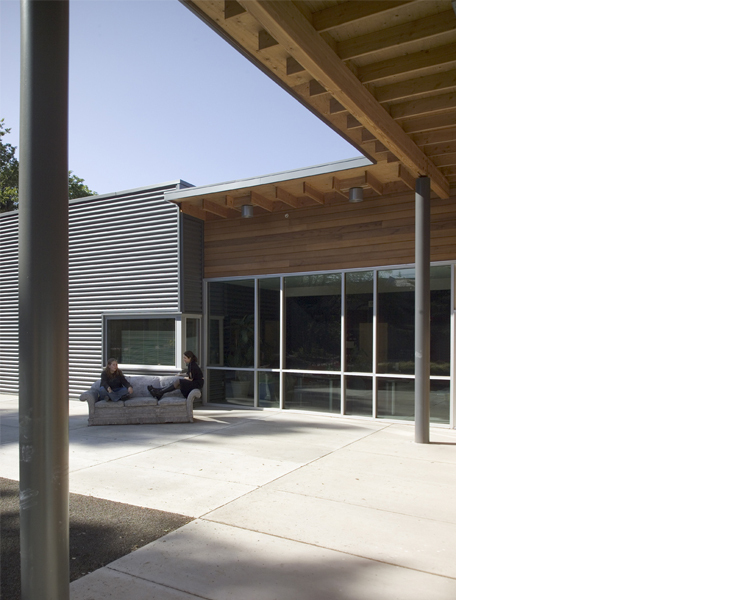 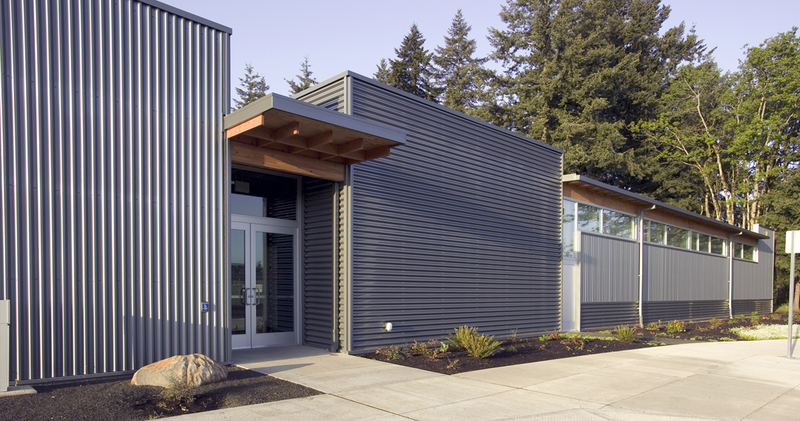 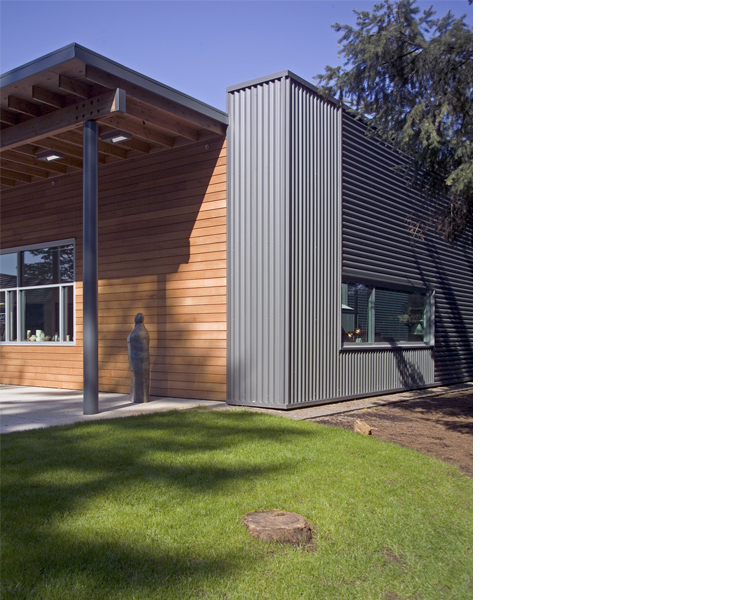 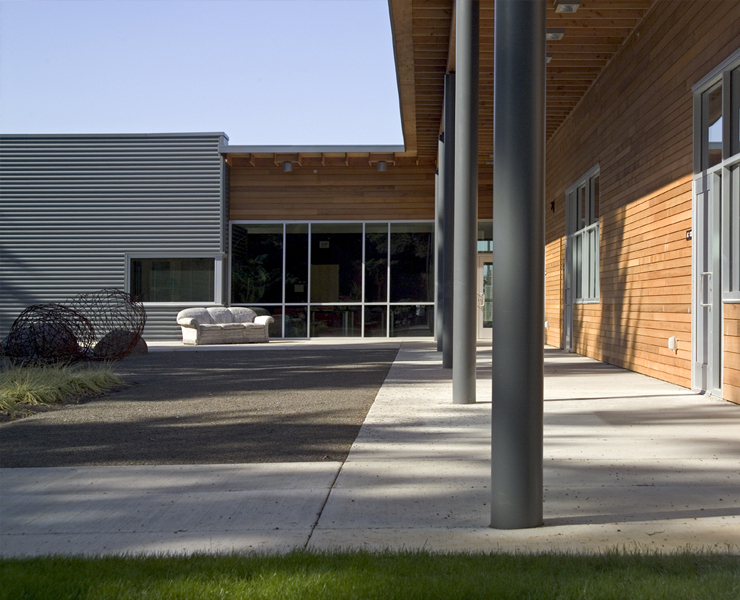 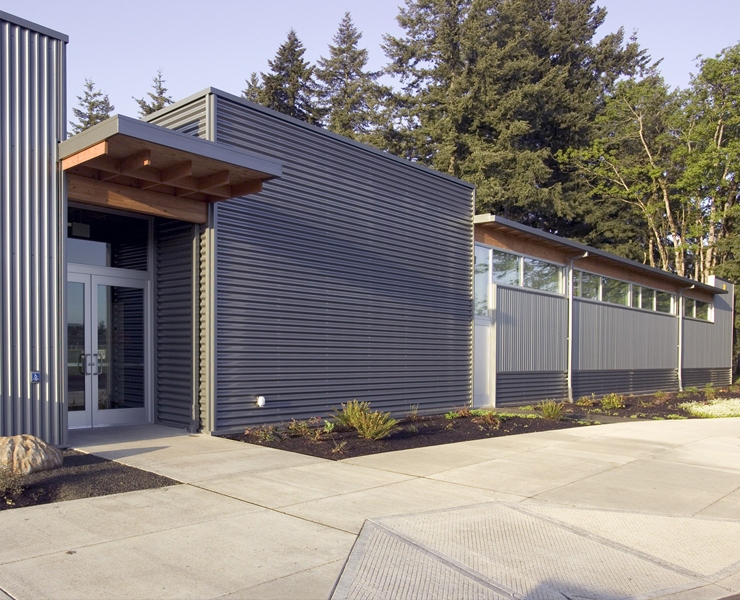 The architecture contrasts metal siding and exposed wood construction to create a simple, playful composition at a low construction cost. 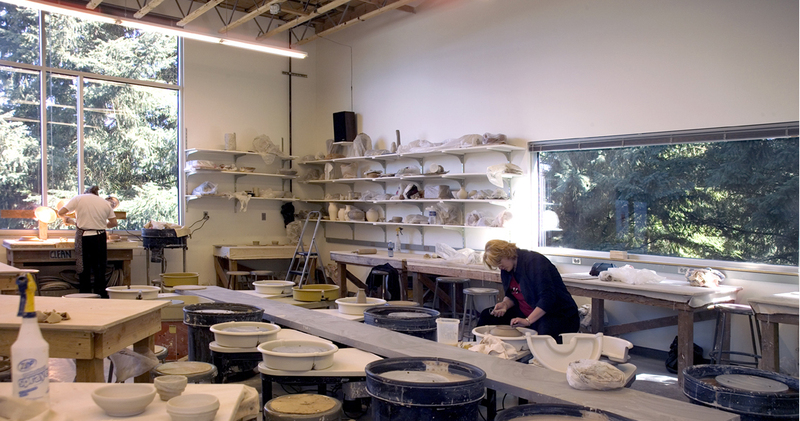 One section of the building includes an exterior covered work area, where kilns, raku and foundry equipment is located. 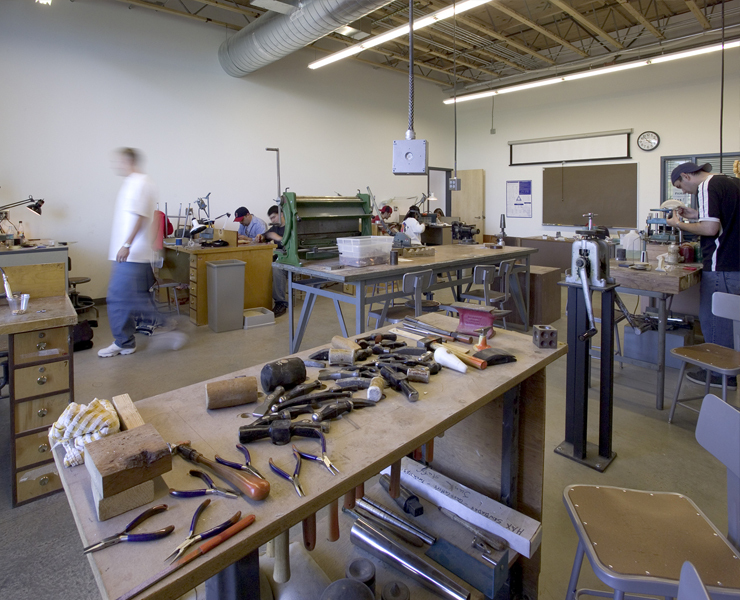 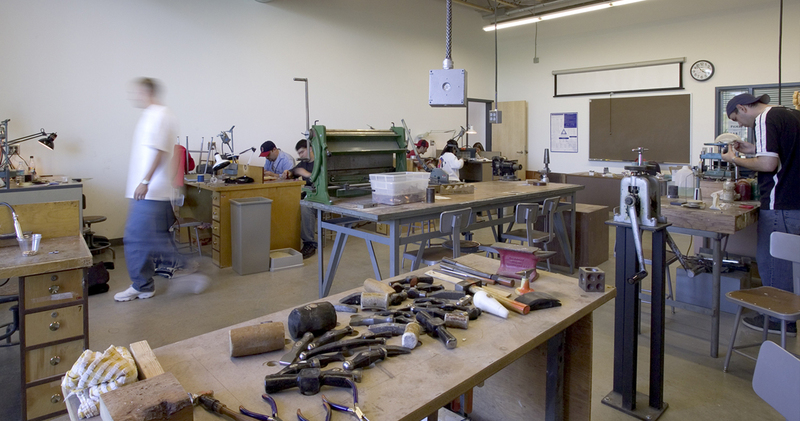 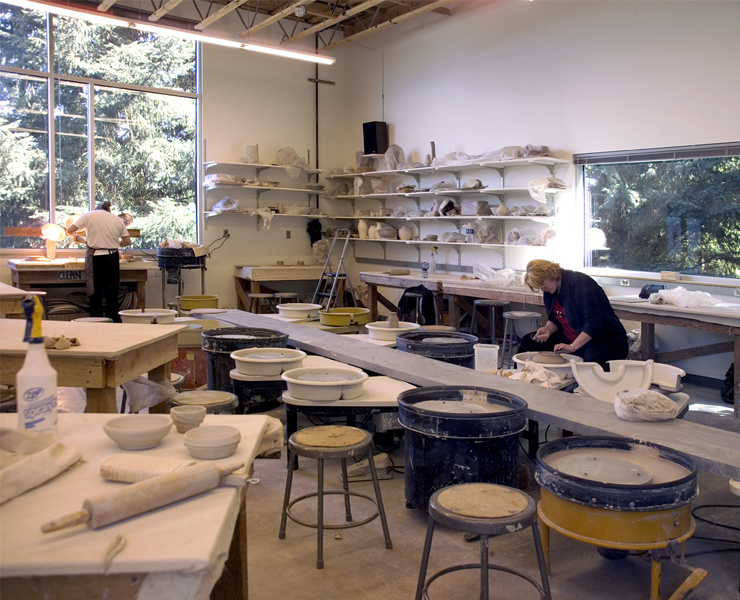 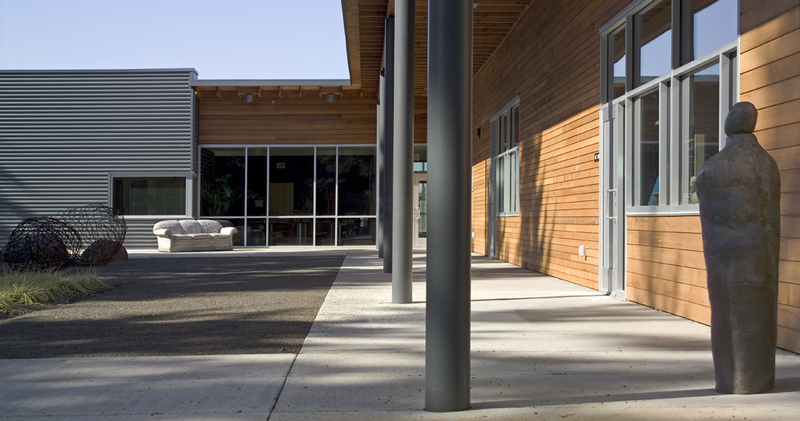 The building includes classroom and studio space for ceramics, sculpture, metals, photography, design and drawing, and painting classes. 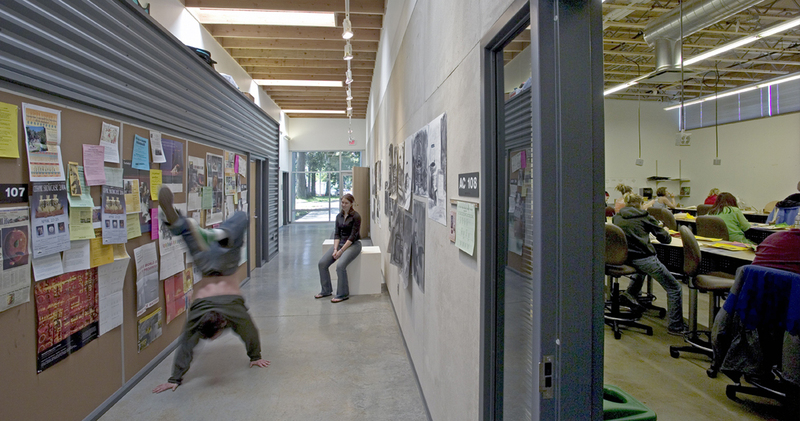 The main interior circulation spaces are designed with track lighting, skylights and large pin-up walls to serve as a gallery for student works.